Plants have numerous positive effects on humans and urban microclimate. Plants remove toxic or harmful substances like volatile organic compounds (VOCs) from the surrounding air, they therefore reduce air pollution and mitigate urban heat island effects. The integration of plants in buildingfronts will provide further benefits such as additional insulation of the builiding and noise reduction. 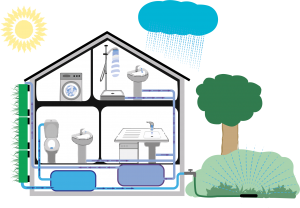 The vertical green wall, which will be developed in the Green INSTRUCT project by alchemia-nova will add the service of greywater and stormwater management to the mentioned benefits. This new approach of using prefabricated structural elements for water recovery using almost only recycled materials will be investigated. 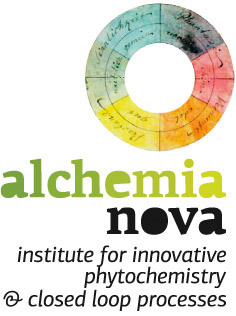 The genereal phytotechnological feasibility of cleaning water in a vertical structure has been approved in the project demEAUmed. 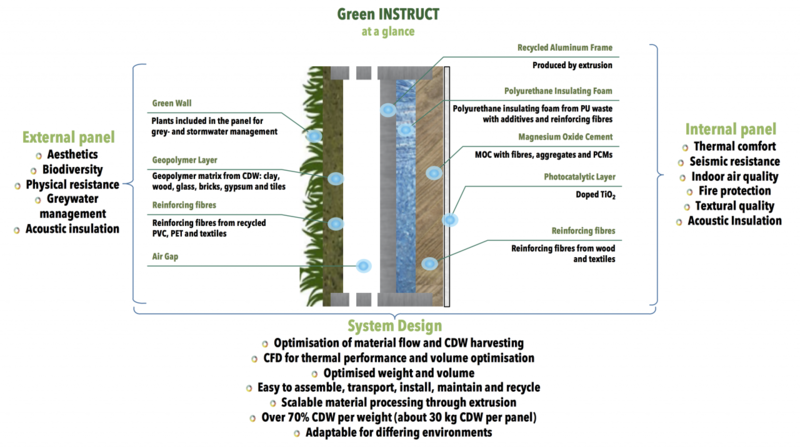 In Green INSTRUCT the water will be cleaned within a vertical flow, beding the plants in an anorganic substrate mixed with reclaimed fibres from construction and demolition waste (CDW). CDW has become a serious problem due to the accompanying environmental pollution. In the EU, CDW accounts for approximately 25-30% of all waste generated. This holds a great potential for recycling and re-use. The Green INSTRUCT project will develop a structural prefabricated building block, which will consist of over 70% of CDW in weight. The CDW streams that will be exploited in the project are: concrete, gypsum, wood, polymers, bricks, tiles, clay, textiles, glass and aluminium. New value chains will be created. CO2 savings, energy savings and higher resource efficiency will ultimately contribute to a resource-efficient and climate change resilient economy.